The political landscape has been noisy lately. If you read the news or watch it on television, it would be easy to think that there’s no room for politicians on the left and right to find agreement on anything. On topics as diverse as health policy, the environment, education and immigration, it often sounds like our country is more divided now than it has ever been. It would be tempting to conclude that this is the worst possible moment to reach any sort of agreement or compromise between Democrats and Republicans. While partisan divides may be deeper than ever over most issues, Democrats and Republicans are finding themselves in agreement when it comes to matters of prison reform, parole and probation improvements, the easing of licensing restrictions on people with criminal records and other criminal justice concerns. People on the left and the right may look at these issues from different points of view, but both sides are concluding that our current system of handling crime, punishment and reentry to society is broken and must be mended. This is happening on both the state and federal level. Nationally, Congress recently passed the First Step Act, which will make some important reforms to federal sentencing laws and prison policy for people who are and have been involved with the federal justice system. The passage of this legislation took a massive bipartisan effort in both the U.S. House of Representatives and Senate, along with President Donald Trump. That is something which rarely happens lately and it serves as a testament to the will of lawmakers in both parties and the president to see these reforms signed into law. Bipartisan efforts to improve our criminal justice system are happening in Michigan, too, and that’s good news for everyone. 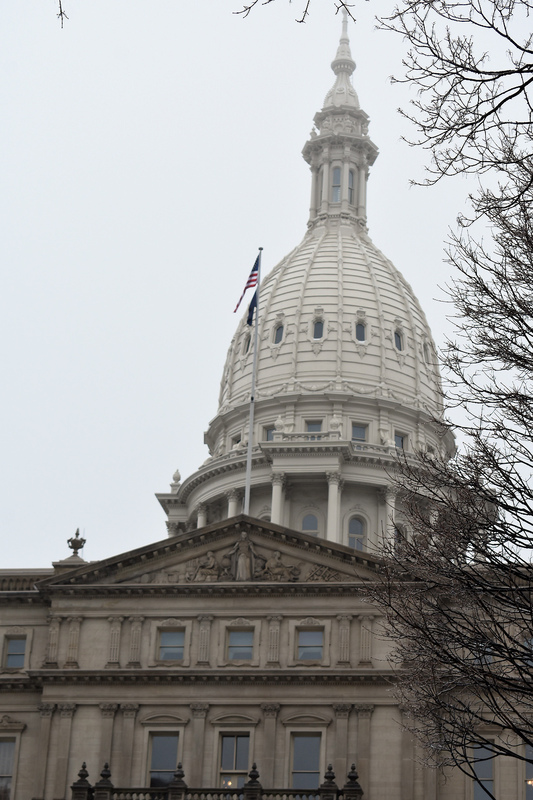 Michigan began a new legislative session at the start of the year. It’s a time when newly sworn-in lawmakers are settling into their jobs and new leadership teams in the House and Senate are setting their legislative priorities for the next few years. One of the ways a legislative leader signal what their priorities will be is by introducing a key piece of legislation as the first bill of the session. This is accompanied with a press conference and follow-up interviews. This year, House Speaker Lee Chatfield (R-Levering) chose to set the tone for the coming legislative session by announcing House Bill 4001, sponsored by Rep. Jason Wentworth (R-Clare), legislation to protect people from civil asset forfeiture under $50,000 unless they are convicted of a crime. Under current civil asset forfeiture law, law enforcement officers may confiscate property from people who are suspected from a crime, even if they are not ultimately convicted of it. House Bill 4001 has an accompanying piece of legislation, House Bill 4002. That bill is sponsored by David LaGrand (D-Grand Rapids), who is the minority vice chairman of the House Judiciary Committee. That makes the civil asset forfeiture package legislation a bipartisan package of legislation. Not only that, but the press conference to announce the legislation featured Michigan’s new Attorney General Dana Nessel, a Democrat who supports the bills. Taken together, this shows a strong bipartisan support for a criminal justice reform that could help Michiganders who are accused but ultimately see the charges against them dropped or are acquitted. Furthermore, Speaker Chatfield has altered the House committee structure in a way that highlights the importance of criminal justice reform. Previously, legislation had to go through a standing committee before it could be referred to House floor for a vote of the full chamber. Now, bills will have to go through a standing committee plus one of four committees for a secondary review before advancing to the floor, unless it is referred to one of the four to begin with. One of those committees is the House Judiciary Committee, which will be tasked with reviewing all legislation that involves bills that create or change criminal penalties. It’s no coincidence that Speaker Chatfield placed the House Judiciary Committee in a role of such great responsibility. Before the election in November 2018, Chatfield identified criminal justice reform as one of his areas of interest. “When you consider that roughly 38,000 of our state’s 42,000 prisoners will at one time re-enter society, we need to ensure they have the necessary support and are prepared for their new start,” he told one of his local newspapers. In addition, a bipartisan, bicameral Criminal Justice Caucus has been informally convened by chairs Sen. Pete Lucido (R-Shelby Township) and Rep. Graham Filler (R-DeWitt) and minority vice-chairs Sen. Stephanie Chang (D-Detroit) and Rep. LaGrand of the Judiciary committees in both houses to facilitate discussions about criminal justice reform proposals. The first meeting was held on Wednesday, Jan. 23, and was attended by dozens of legislators and external stakeholders. The civil asset forfeiture legislation, the elevation of the House Judiciary Committee, and the Criminal Justice Caucus are three signals that the Michigan Legislature is ready to take criminal justice reform seriously. But why now? There are many reasons to want to tackle criminal justice reform. Many people who have been involved in this issue for years simply believe that all people deserve to be treated with dignity and respect. Some people from faith backgrounds have a deep belief in the importance of redemption and believe that people who have paid a debt to society shouldn’t be hindered from their second chance. Others see a community safety aspect and understand that 80 percent of all people who are in prison will someday come home, and realize that it is in everyone’s best interest that these people are able to find good jobs and provide for their families. Still others simply see the waste involved in funding a massive corrections budget year after year, and want to know how that money could be better spent — or think it could be kept in taxpayers’ pocketbooks. Some people have been working toward criminal justice reform for a long time. Other people are newer to this. We are glad to have increased interest and energy building toward a goal that will help so many people and strengthen all of our communities. We don’t think there’s any wrong reason to want to improve the criminal justice system. We’re willing to work with anyone who wants to work with us to make our communities safer for everyone. And when we all work together, we will make it happen.